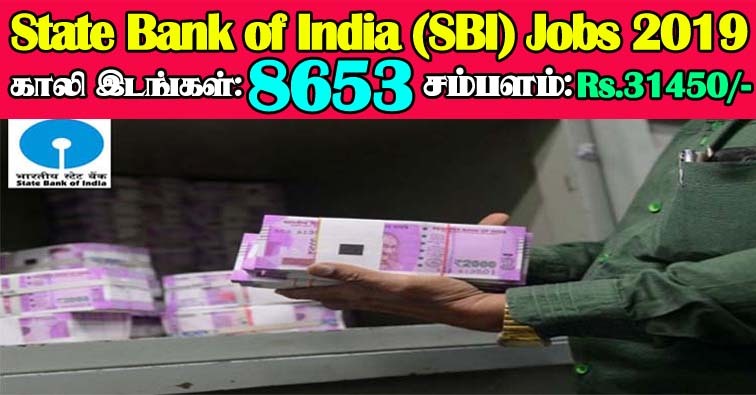 SBI Recruitment 2019 - SBI invites Online applications for recruitment of 8653 Junior Associate (Customer Support & Sales) in Clerical Cadre Posts. This online facility will be available in the Official website www.sbi.co.in from 12.04.2019 to 03.05.2019. Prospective candidates will have to apply online after carefully reading the detailed advertisement regarding the process of examination, eligibility criteria, online registration processes, application fee/ intimation charges, pattern of examination, Syllabus, How to Apply, Question Paper, issuance of admit cards/call letters, Exam Date, Result Date etc. and ensure that they fulfill the stipulated criteria and follow the prescribed processes.